What would you rather spend $15 on: a mediocre kale salad at the overpriced lunch spot near your office, or a glorious Advent calendar that’s solely filled with Harry Potter-themed socks? I don’t know about you, but I’d definitely go with the latter in a heartbeat, now that Target’s 12 Days of Socks Advent calendars are back in action for the holiday season. 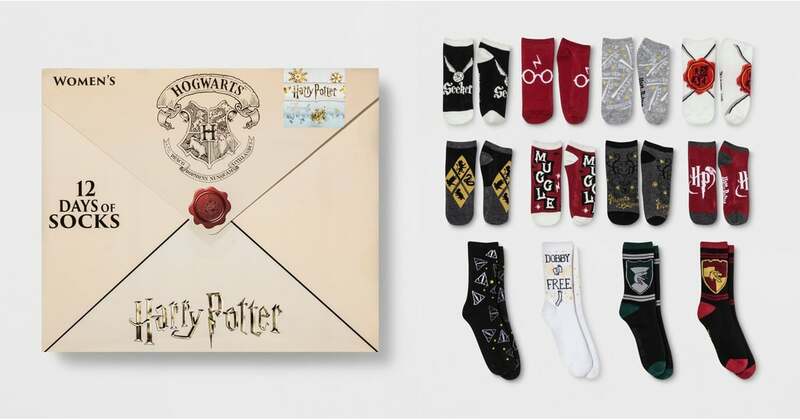 This year, the affordable retailer is selling two Harry Potter sock-filled calendars that’ll keep your toes warmer than the Gryffindor common room fireplace. Both feature a mix of low-cut and crew-cut socks covered in all the HP references your muggle heart could possibly desire. And yep, there’s a pair dedicated to each Hogwarts house! Both Harry Potter sock Advent calendars are sure to sell out faster than the Golden Snitch zips through a Quidditch match, so stop by your Gringotts vault, grab a few galleons, and ride your broomstick to the nearest Target to snag them before it’s too late.